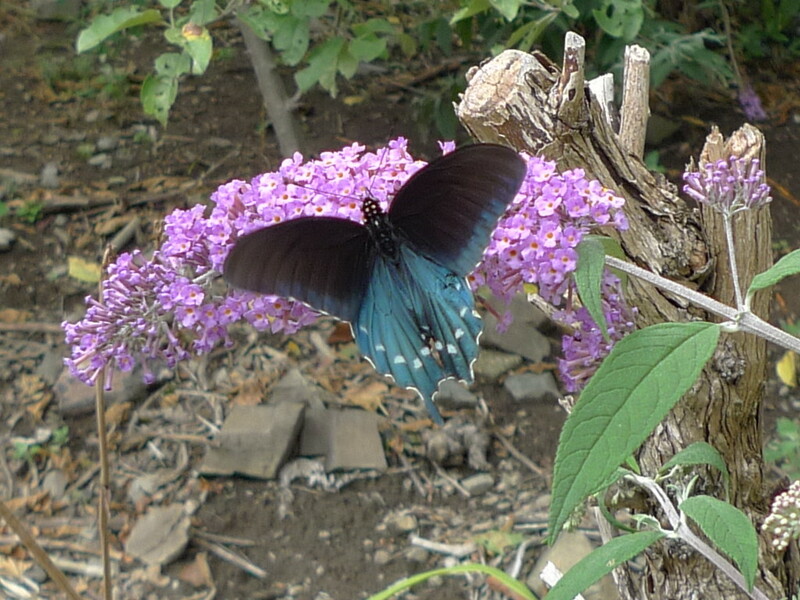 Today I saw a beautiful black butterfly flapping its wings as it drank from the butterfly bush. I thought “Black Swallowtail!” and grabbed my camera. It did not take well to being photographed, let alone chased all around my yard. 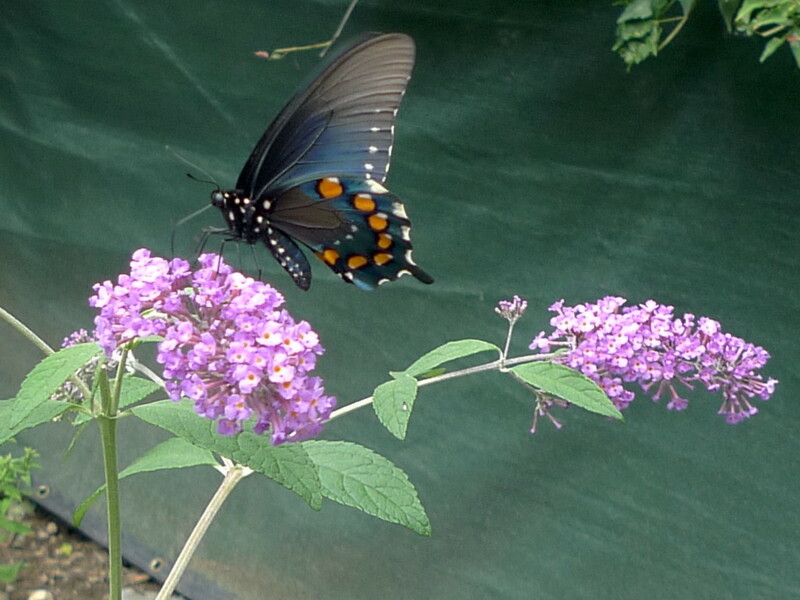 But it kept circling around and eventually it came back to the butterfly bush. Then I got an id and found out it’s a Pipevine Swallowtail and one of several large black butterflies that are often confused with each other. Beautiful no matter what it is. This entry was posted in Bees and tagged butterfly. Bookmark the permalink.